Ready or not…hurricane season is officially starting this week (June 1). 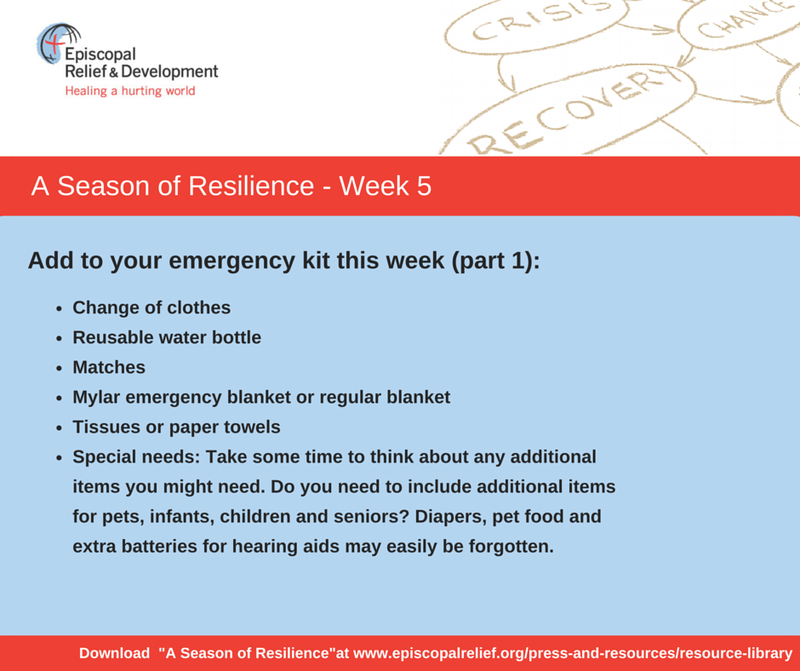 In the Episcopal Diocese of Louisiana we are in week five of Episcopal Relief and Development’s “A Season of Resilience”. 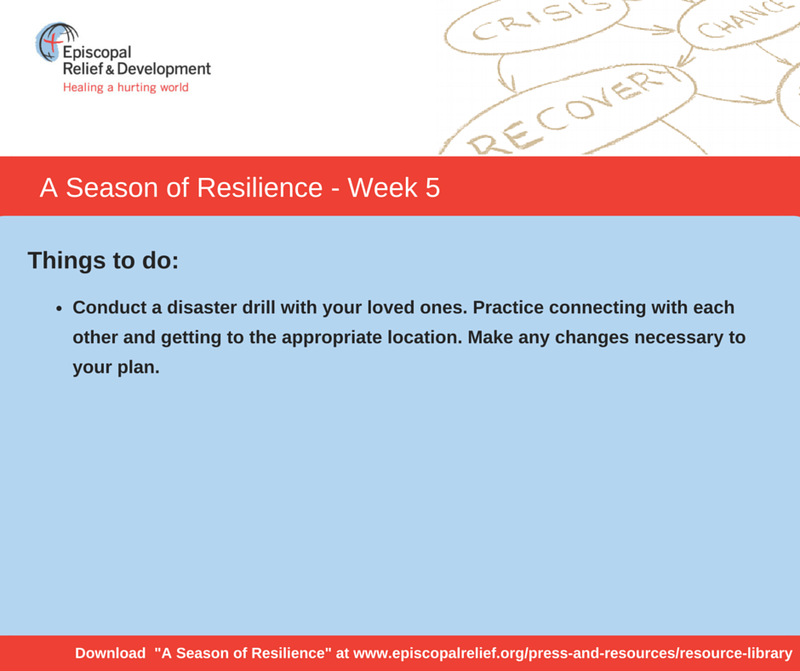 What we like about this program is that it breaks down the three key points of preparedness (make a plan, be informed, build a kit) into manageable tasks. 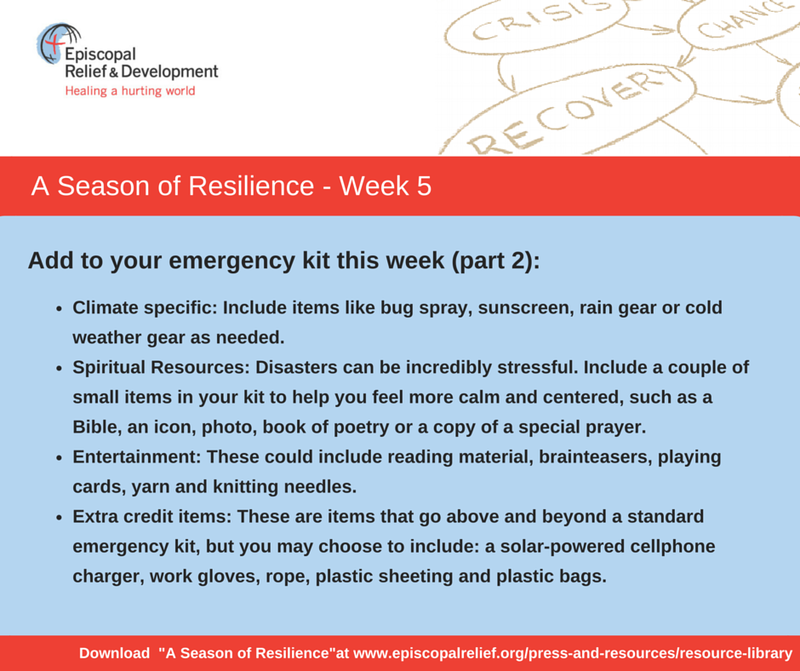 Below you will find a list of things to do and items to add to your emergency kit this week.